It’s dark when I get to the Kraken in Stockholm. At this time of the year, it gets dark pretty early, and a few persons are already waiting for the doors to open. Unfortunately, there’s a delay and we have to wait a bit more than planned before we are finally let into the venue – not very pleasant in the cold weather. By the time The Moth Gatherer takes the stage, the venue has gotten crowded. The four-piece combo play for almost an hour, getting the crowd warm and ready for the main act of the night. Their music can be classified as Post-Metal, even though sometimes it ventures into Sludge Metal. The bassist shows a great stage presence jumping around for the whole performance and the audience seems to enjoy the show. A few minutes after 9 pm the support band finishes and the stage crew start to prepare for Wolves in the Throne Room. The most particular thing to be noticed here is the incense burning on the stage. When the American band takes the stage, it’s easy to see how much they care to have a special atmosphere to their show. 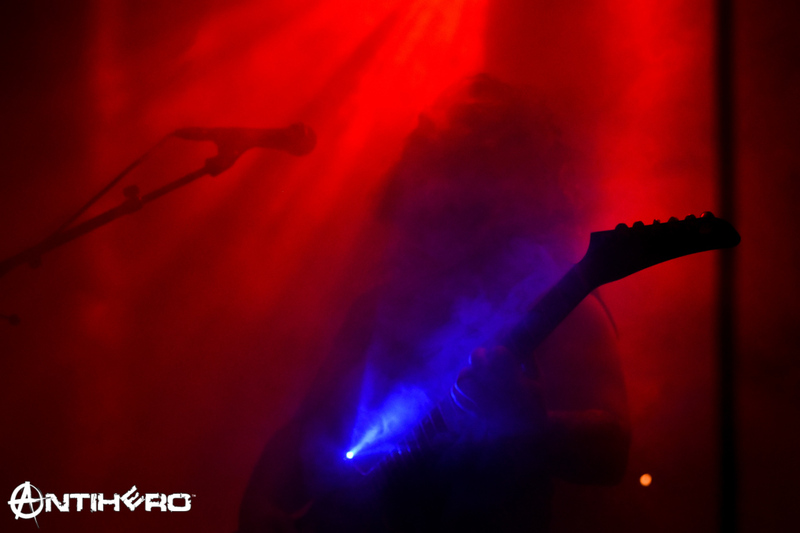 The lights are suffused, the incense smell is strong, every guitar has a light positioned near the neck pickup that beams over the players’ faces. As the venue doesn’t even have a barrier, the people in the first rows are extremely close to the band, increasing the intimate atmosphere of the gig. As the song ends, the keyboard and guitar keep playing some sounds – something we could call an impromptu Dark Ambient, maybe – that link the songs and gives a more unified feeling to the whole show, as opposed to a set of different tracks. The second song is “Dea Artio” from Two Hunters, an album that will be played almost in its entirety as the band plays also “Vastness and Sorrow” and closes the gig with “I Will Lay Down My Bones Among the Rocks and Roots”. The other songs in the set are “The Old Ones Are with Us”, again from Thrice Woven, and “Prayer of Transformation” from Celestial Lineage. During the whole concert, the crowd is completely captured by the music; there’s no crazy headbanging, jumping or screaming. Instead, many people are headbanging more slowly, following the tempo of the music, sometimes with closed eyes focusing on the music. 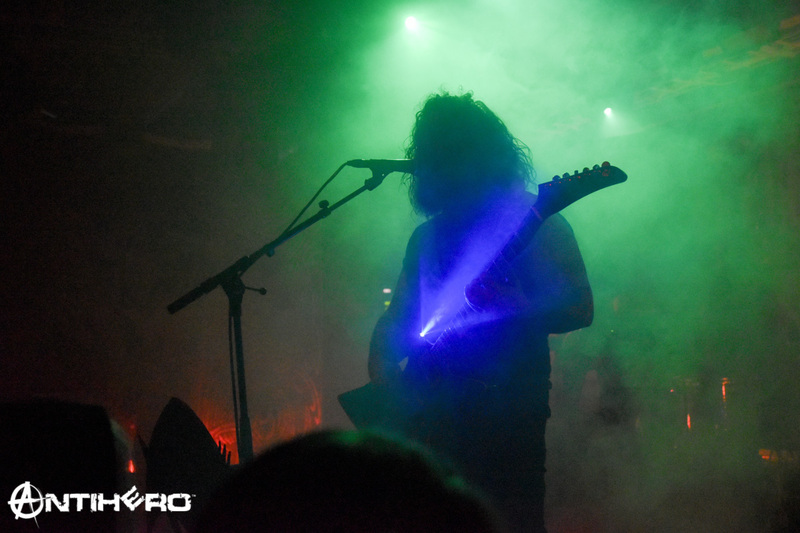 The concert ends with a simple “Thank you” from frontman Nathan Weaver, as Wolves in the Throne Room leave the stage. Some people look around, confused – will they play an encore? After all, they played just about an hour. But that’s all for tonight. And this could be the only little flaw of the show – it was a bit too short. However, at the same time, it was so powerful that even just six songs satisfied most people.